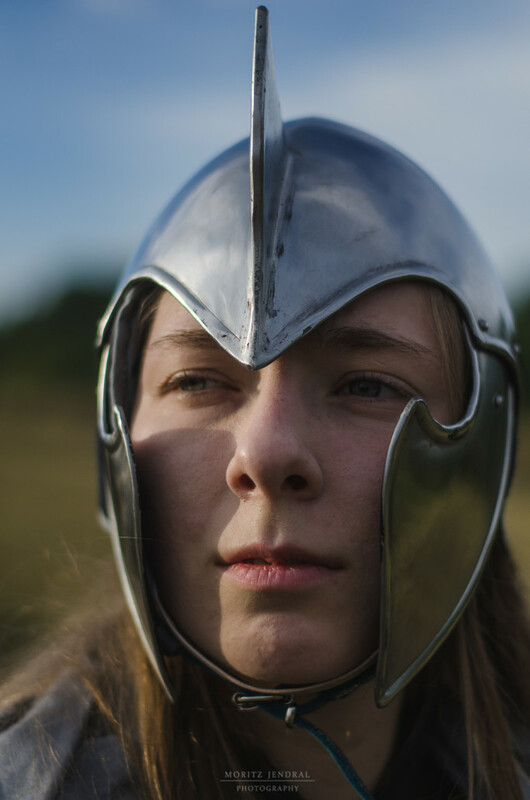 In 2009 I decided that if I wanted to fight in LARP battles, I needed a helmet. 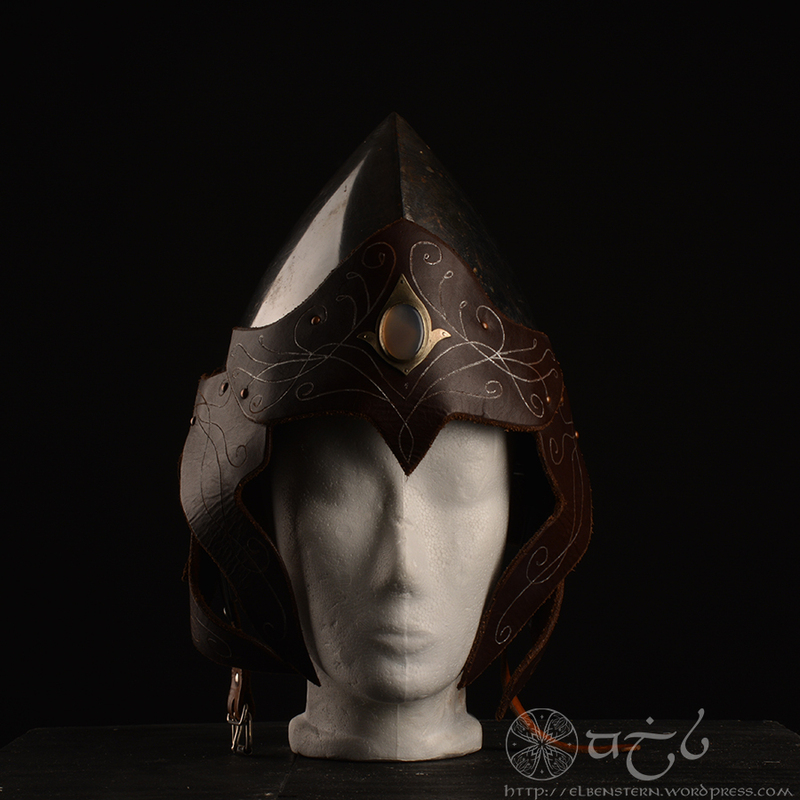 But It’s hard to come by a helmet for an elven character. Having one custom made was not an option at the time since I was still in school. I made this one with the help of my mum and a few friends. 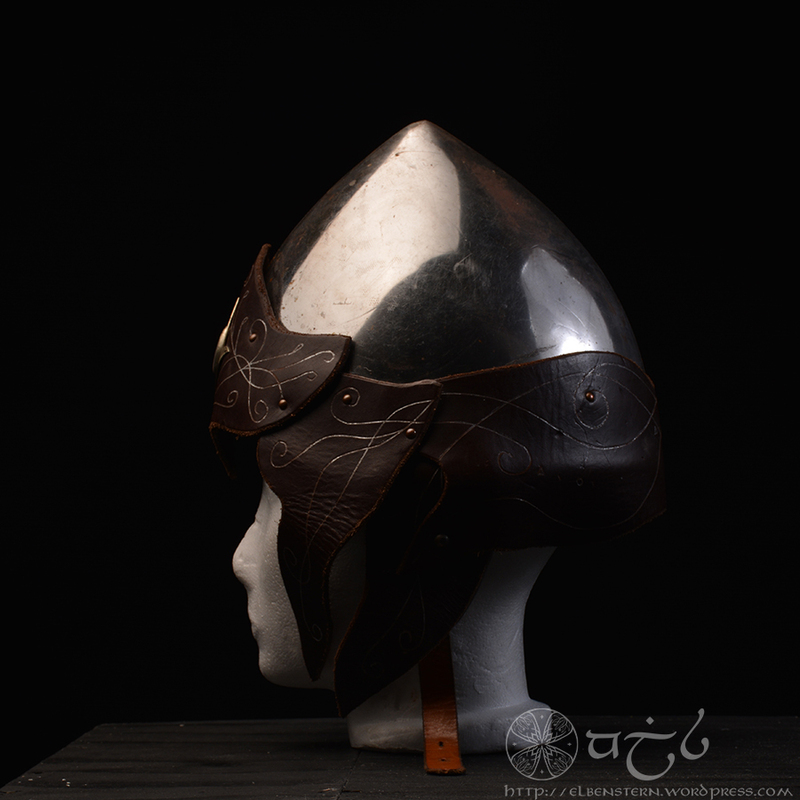 I bought a cheap steel helmet and we polished it and added build the leather corona. I then sent the components to another friend, Mimin, for clinching. He has is own crafting blog, check it out here. I wore it for six years, though it always looked a bit odd, due to the steel helmet being a bit too large for my head. I only had a new helmet custom-made this year, so its retirement time for the old one. And since I never took photos of it, it was now or never. It looks quite beaten up by now, the leather parts are deformed and frayed.